Home » All Forums » [Computer Hardware/Software] » General Hardware » Opinion on NEW CORSAIR Hydro Series, H115i RGB PLATINUM? Hot!Opinion on NEW CORSAIR Hydro Series, H115i RGB PLATINUM? Corsair just released a new aio with updated hardware and made by coolit instead asetek. I'm looking at the 280mm, but I already have EVGA clc 280. The updated cpu block got me all hyped up. Do you think it will produce the same temp? I don't really care about RGB, but I'm willing to bite the bullet if it will give me better temp for my i9 9900k than my EVGA clc 280. Personally I think it’s a great cooler but you own a great cooler. I personally wouldn’t upgrade since the difference isn’t going to really be very big. If you didn’t have the EVGA cooler though it wouldn’t be a bad option but even then I probably would ati go EVGA since its the better bang for the buck. "I don't really care about RGB"
https://www.performance-pcs.com/ has the best Price ATM I ordered one today. I run them in a Push/Pull setup. Yeah, its a great cooler, I paired it with two corsair ml140. I also bought thermal grizzly kryonaut. Hopefully this is all I need to have a stable overclock for my i9 9900k. I would have gone to 360 but I don't think I have enough space for my corsair carbide 540. My gtx 1080 ti is pretty long, plus I heard the difference between 360 and 280 is minimal, I'm also looking forward to the push pull config, I think I have enough space for now, but not too sure once I upgraded to Dark. The ram might interfere. I do not think you will have any issues with the Ram with this Cooler Heat Sink/Pump. I have Both models and the performance has caused me to the put Corsair out the door, and I am not looking back. No Software to Install and Manage the Pump, connect it to the CPU Header on the MB at 100% and you are done. The Pump Noise Level is Zero. No Corsair Cooler can out Perform the above 360, based on my own testing. No Corsair Cooler can match the Perform the above 240, based on my own testing. 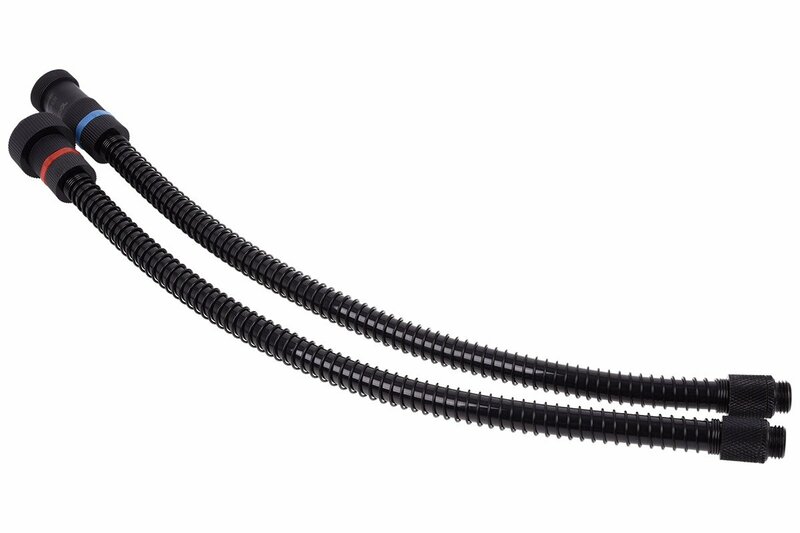 Need longer Tubing Eisbaer has them Corsair Closed Loop and you cannot extend the Tubing. You need Two Kits Per Cooler. Being a German Product some sites shipping cost is off the world chart so you really need to be carful who you are ordering from. Shake this Product up Really Good and I recommend Filtering the fluid with a double Coffee Filter before use. Check out OC3DTV video review below or the article on Corsair new H100i/115i Platinum Hydro AIO coolers. Corsair has put a lot work into it's new ICUE software. I don't know of any competitor that can match them. Is a few degrees cooler worth the money, that is for you to decide. What kind of cpu and is it overclock? If so how your temp? Thanks! for sharing! I think I have to watch it again! Just trying to get more advice before I make my move. Reviewers have been very bias and unreliable these day except GN. Those are pretty good temp! Have you tried to comparing this with EVGA clc 280? No I have not, not much in the need for RGB and adding more software to control the RGB or Pumps. My last Corsair was really bad and was running in the upper 80C and found that air was trapped and a few knocks on the Rad the temps dropped 20C. So far it is still running ok but I am replace it with a 240 from above. I am going to run on my new X299 Dark with the 360 using only LM to compare to my other X299 Dark using MX-4 on a Custom Water Loop. Yeah aio software are buggy! Right now I'm getting this error from my clc 280 "Device not found" whenever I open up EVGA flow control. I installed the 240 until my 360 comes in. I used Only MX-4 and I have NOT Delied the CPU. 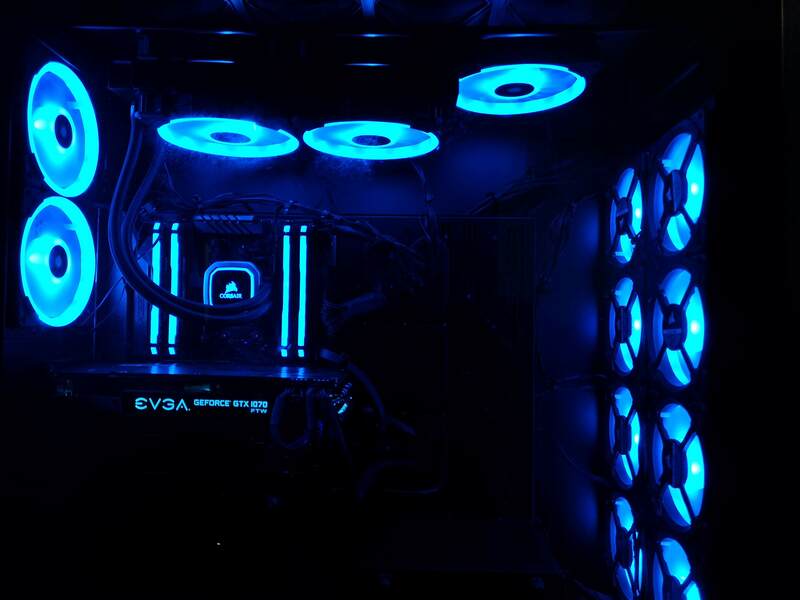 I bet that pump is the main reason Alphacool Eisbaer 360 can beat other AIO coolers. 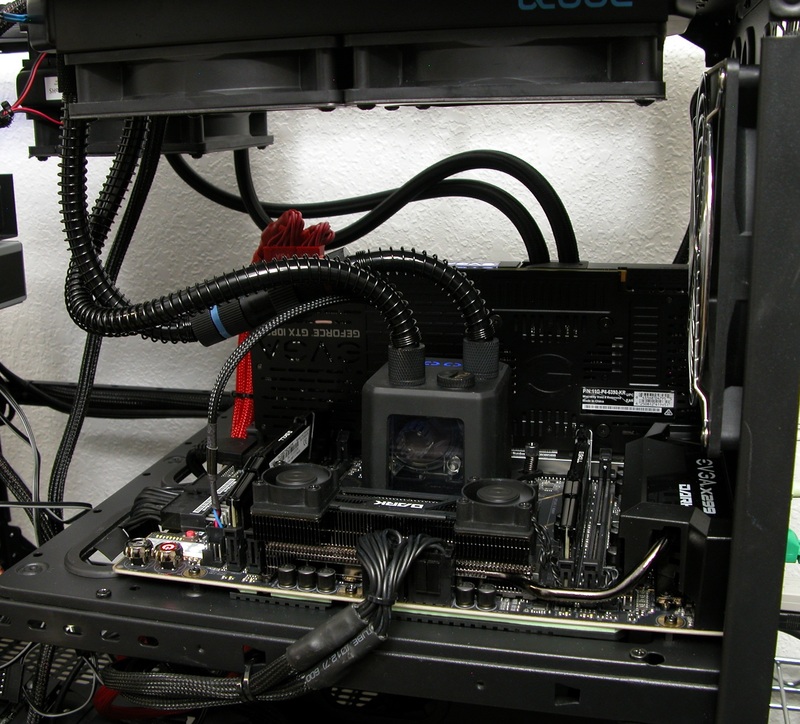 I never saw uglier AIO than Alphacool with that big cube with pump. What can I say about new H1xx Platinum, non Platinum + RGB Fans = Platinum. Definitely I would choose non Platinum version for sure. 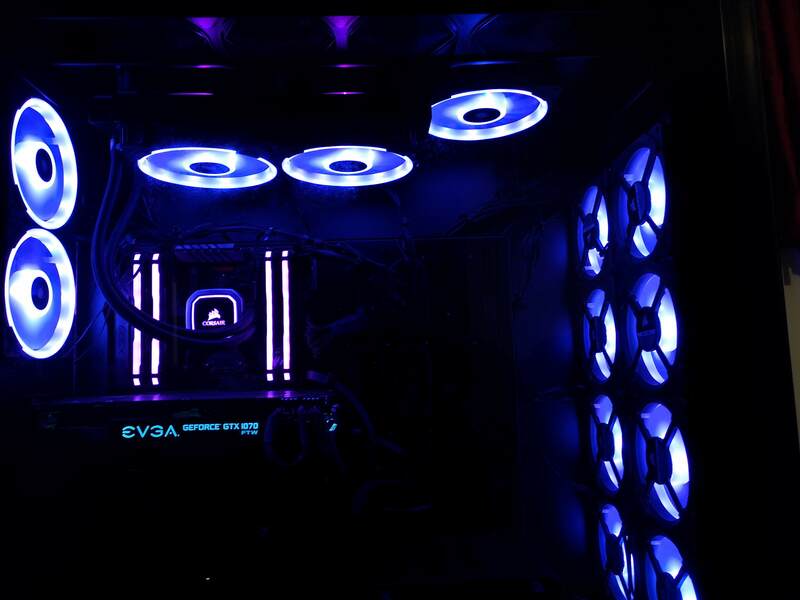 RGB destroy PC Look, so amazing and expensive RIGs I can't see what is inside and what people use from hardware because stupid RGB on every part. Completely camouflage expensive investment and give some cheap Asian look and I hate literary RGB. Every RIG with him I only continue further not pay attention on details at all. 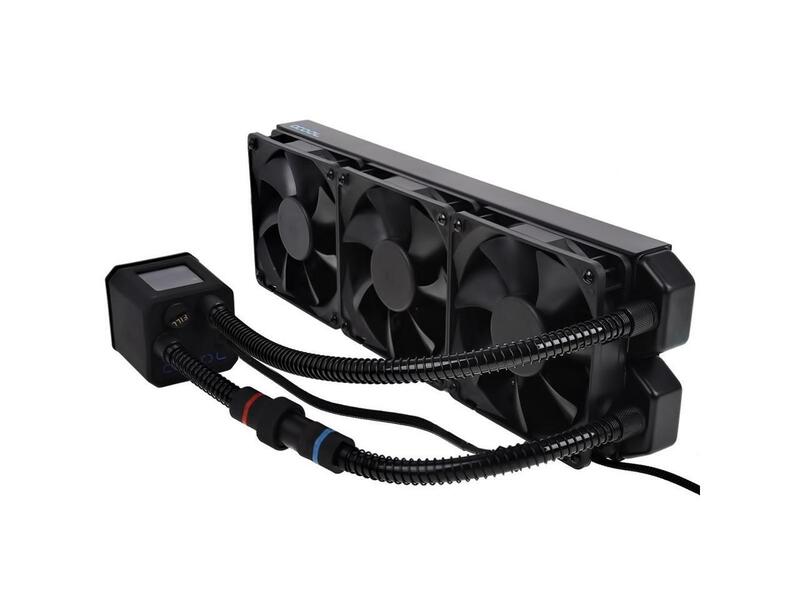 Forgot on AIO and build small loop for self, 280mm radiator, attach pump/res combo to him. 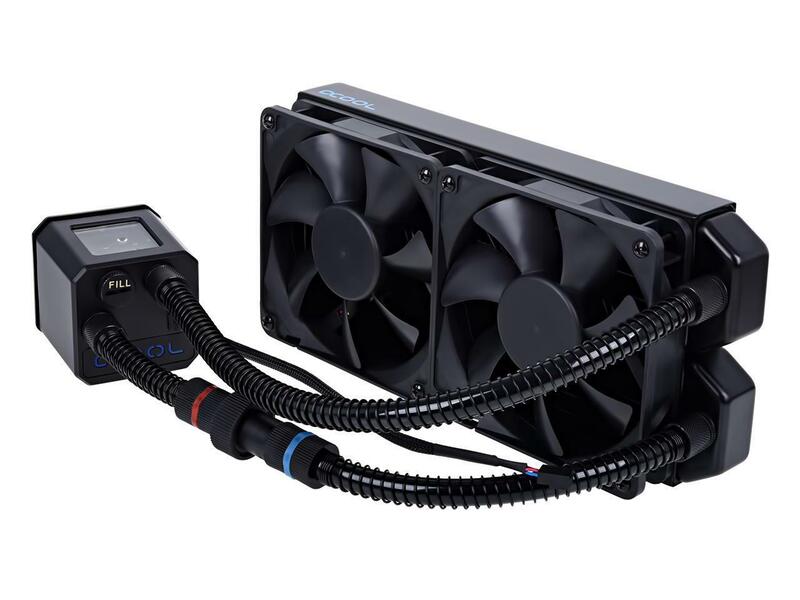 You have really small combinations with DDC Pump but better D5 and you will have 10-15C better temps than best 280mm AIO. But I never like water only on CPU, GPU is very important as well, maybe even more because these good AIO systems for CPU. It's very easy, you need one 280mm radiator, mounting kit and pump/res combo and you got one unit for custom loop, capable to separate. Example Heatkiller series is expandable, one Heatkiller Tube could be used as separate reservoir, combo with D5 or combo with DDC. And you could buy additional parts, D5 Bottom, DDC Bottom, Multi Port. Opening of reservoir is amazing, literary not thread at all and glass. Heatkiller version 100 is very small, but smallest is Swiftech Maelstrom X50. He is cue. 6x fittings 35$ and tubes few dollars, you probably have some fans in house, if not you 2x140mm is around 40$. Ugly Is Set and Forget. I have the H115i Corsair Platinum cooler installed. With FULL CPU load the CPU temp on my Threadripper is 60 degrees C. The coordinated RGB with Corsair iCUE rocks. The new Corsair Platinum version has better performance over the older version. You could build a custom loop but you would also have to deal with changing the coolant in it. 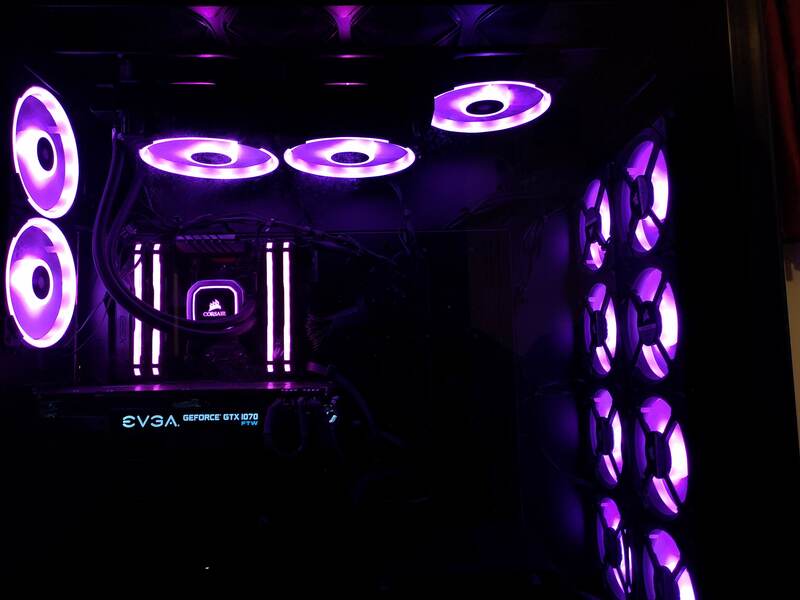 It is really cool to have matching RGB lighting. My biggest problem is so much stuff comes with RGB but the software makes it impossible to really match up to make work together and out of sync it looks horrible to me. I did read on Corsair forums where you can sync Corsair ICUE with older version of ASUS Aura software. It would be nice to have a industry standard, where it would be simple to sync with any RGB hardware/accessory. +1..... For being a AIO the Eisbaer's awesome. Love the factory expandability. Have you figured out what you wanted to do yet? Is there even a Motherboard in their somewhere? I think I'm going to keep my clc 280.